On Wednesday, the Nevada Athletic Commission cut Conor McGregor’s bottle-throwing fine to $25,000. McGregor’s community service was also slashed to 25 hours, which must be completed within six months. In October, the NAC initially docked McGregor $150,000 (5 percent of his $3 million purse for FUC 202) and tacked on 50 hours of community service for McGregor’s part in August 17’s UFC 202 pre-fight press conference melee where he and Nate Diaz flung bottled water and canned drinks at each other from across the venue. 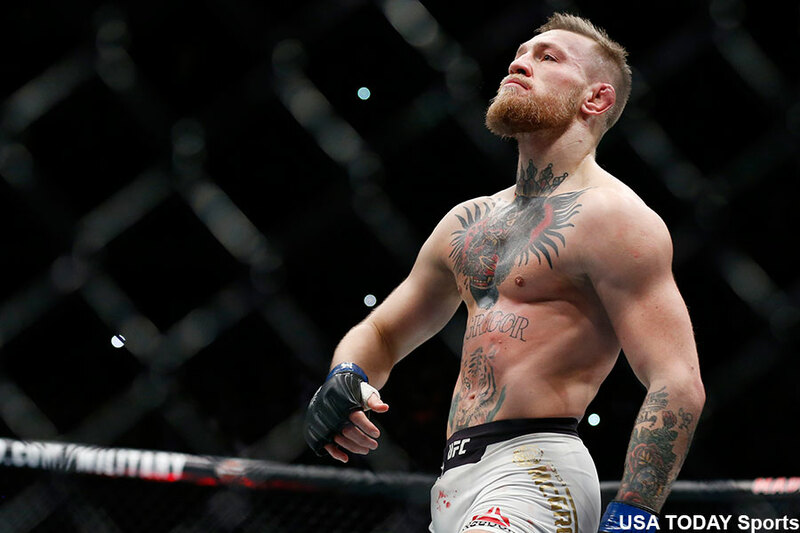 McGregor, the UFC’s biggest cash cow, was irate over the hefty penalty after issuing a sincere apology for his actions. He threatened to boycott fighting in Las Vegas because of the excessive fine. The UFC lightweight champion did not attend today’s hearing in Las Vegas. However, his attorney gladly accepted the lighter sentence on his behalf. It appears Diaz will also benefit from today’s news. In December, Diaz was levied a $50,000, 2.5 percent of his $2 million purse to fight McGregor at UFC 202, and handed 50 hours of community service for his part in the altercation. After cutting McGregor’s penalty, NAC chairman Anthony Marnell said they would likely reach out to Diaz in order to discuss a lighter punishment.